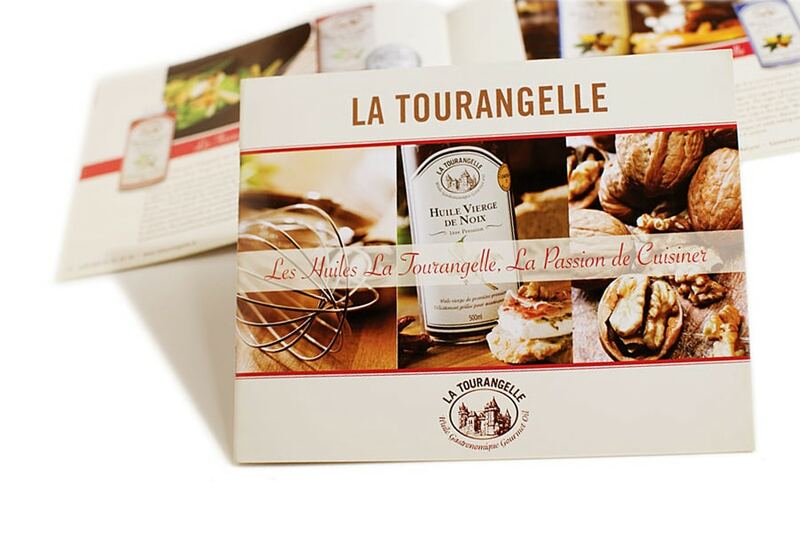 Brochure for La Tourangelle’s European audience, in French. 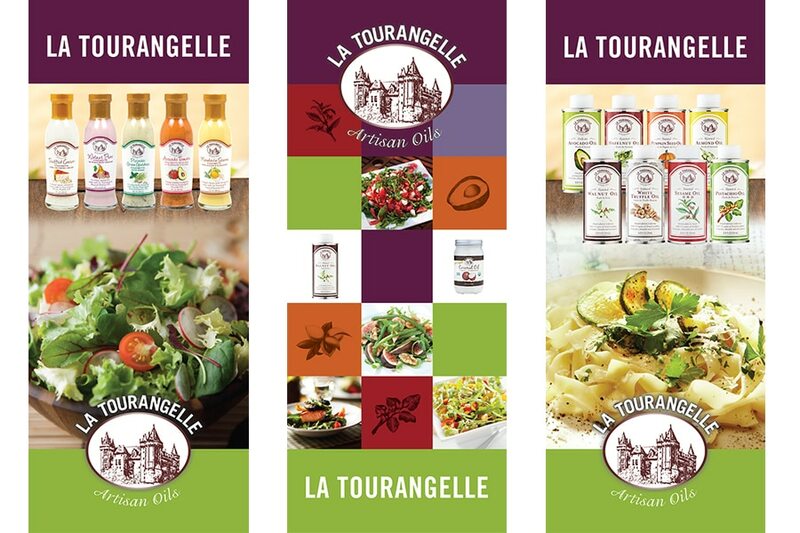 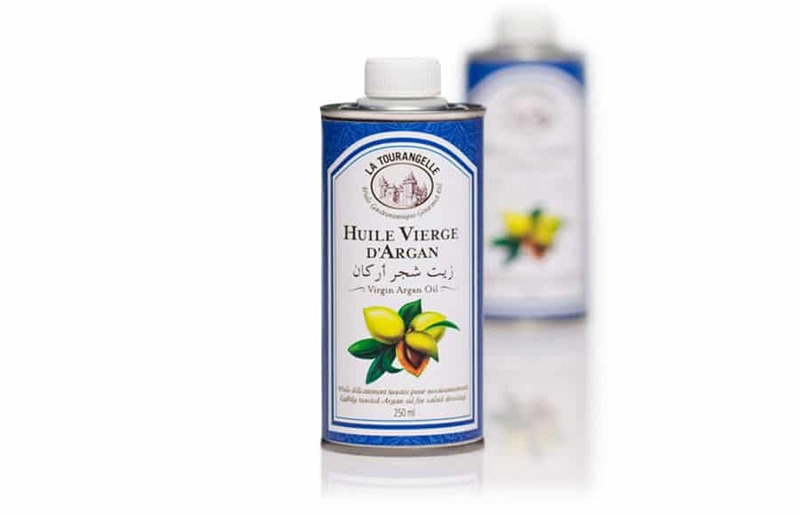 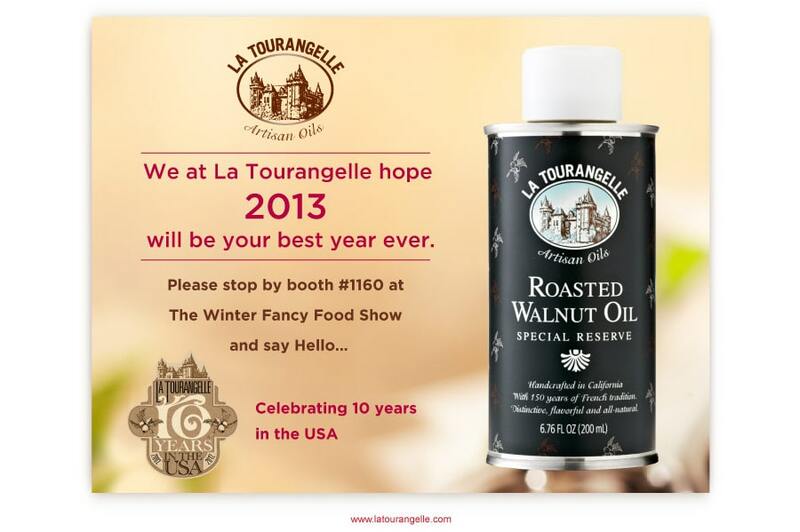 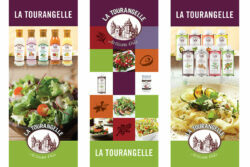 Series of trade show banner designs for La Tourangelle Artisan Oils. 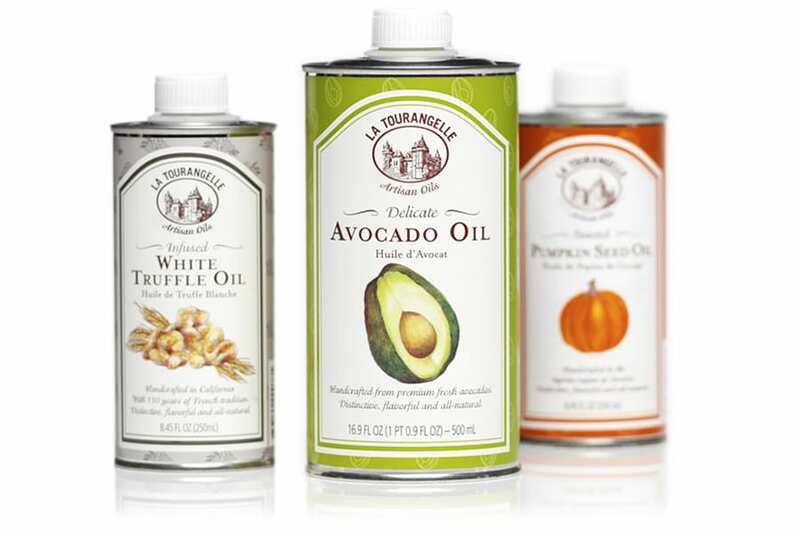 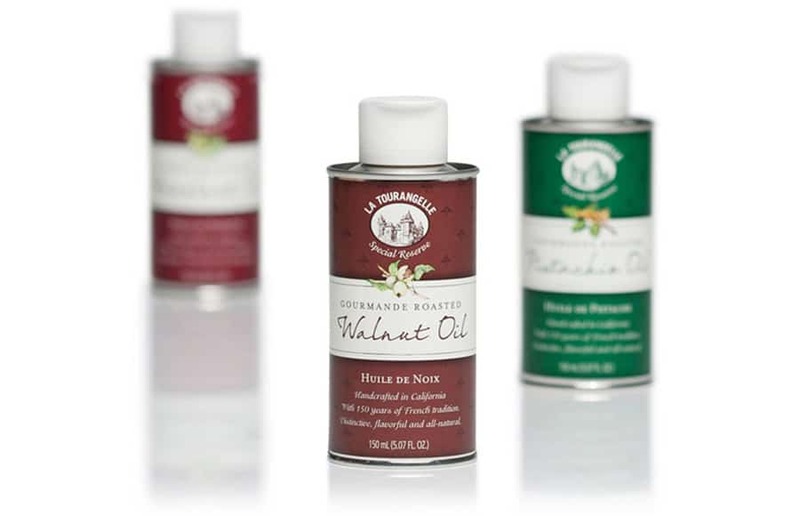 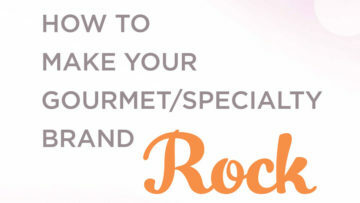 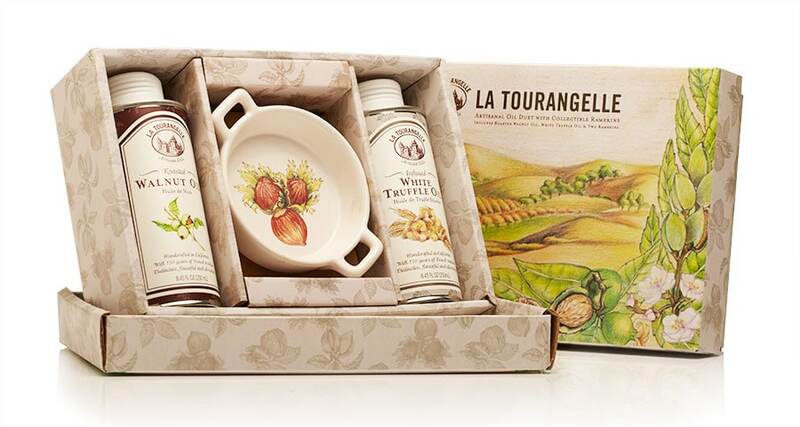 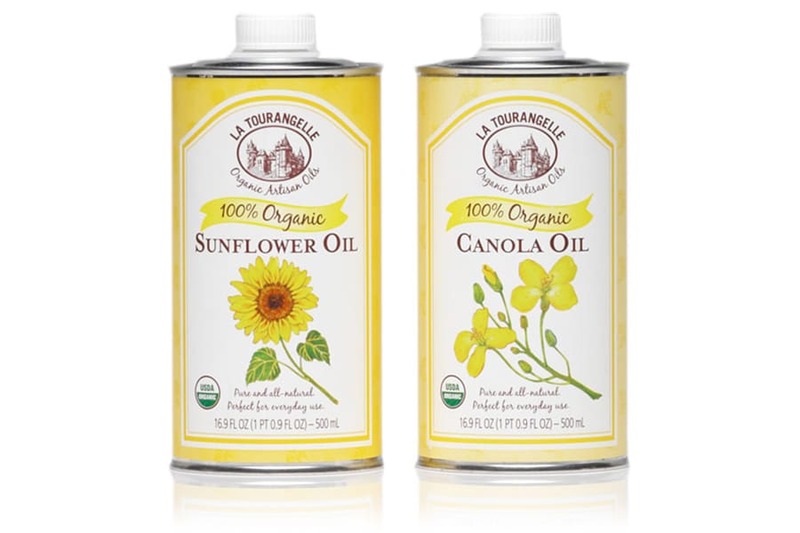 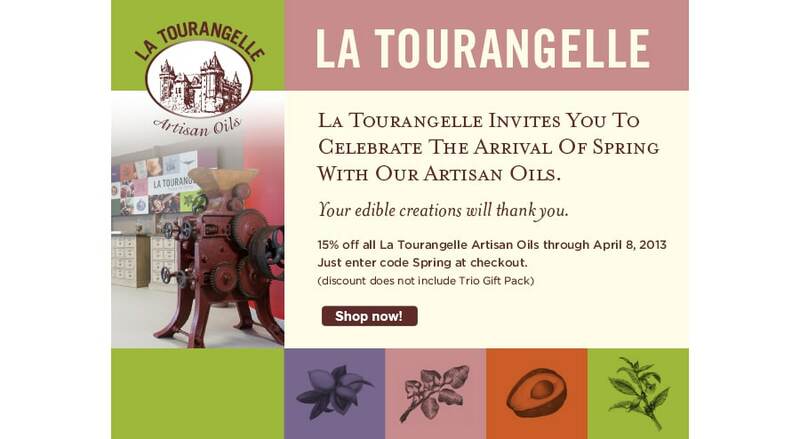 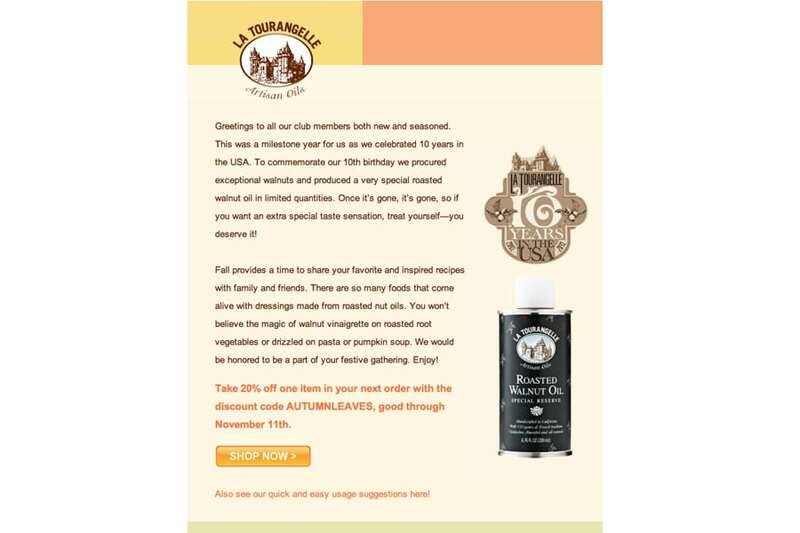 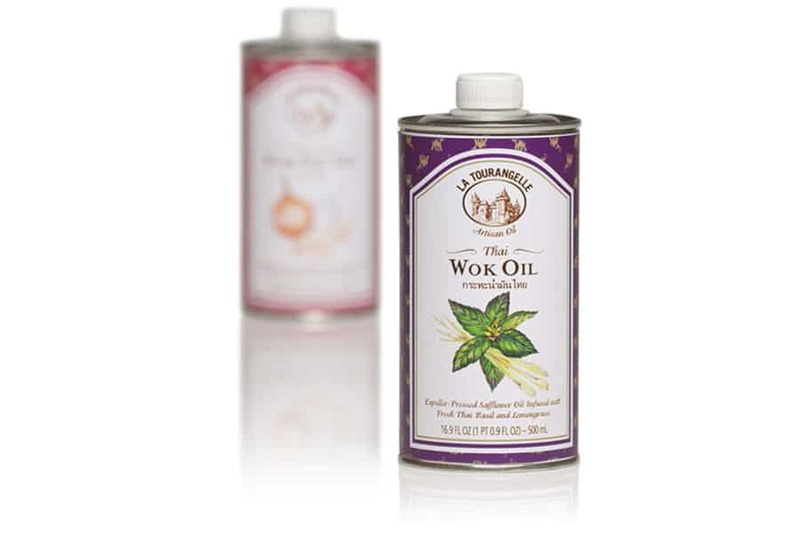 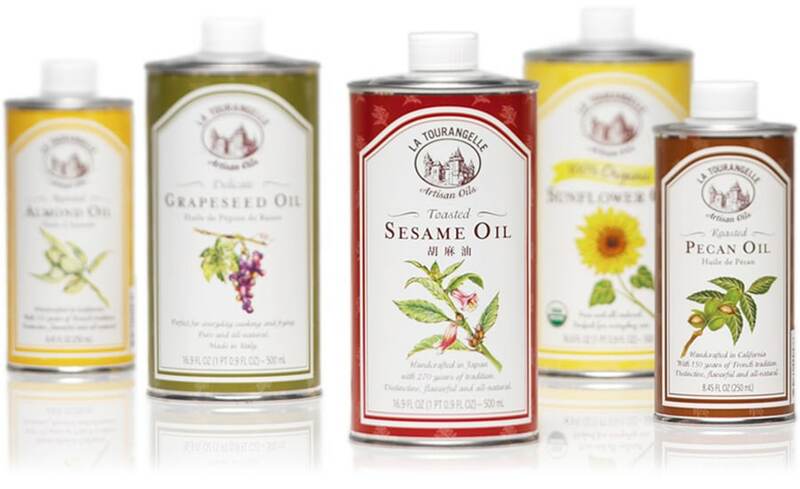 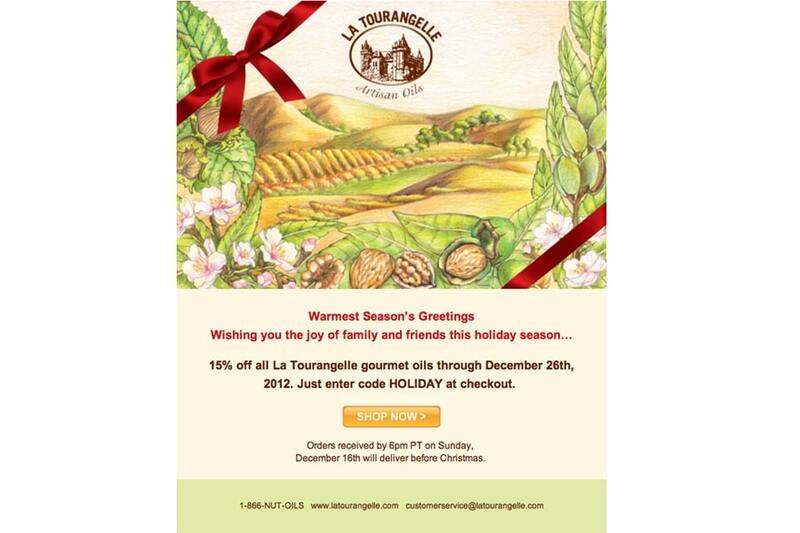 Series of email blasts for La Tourangelle Artisan Oils consumer marketing for online orders. 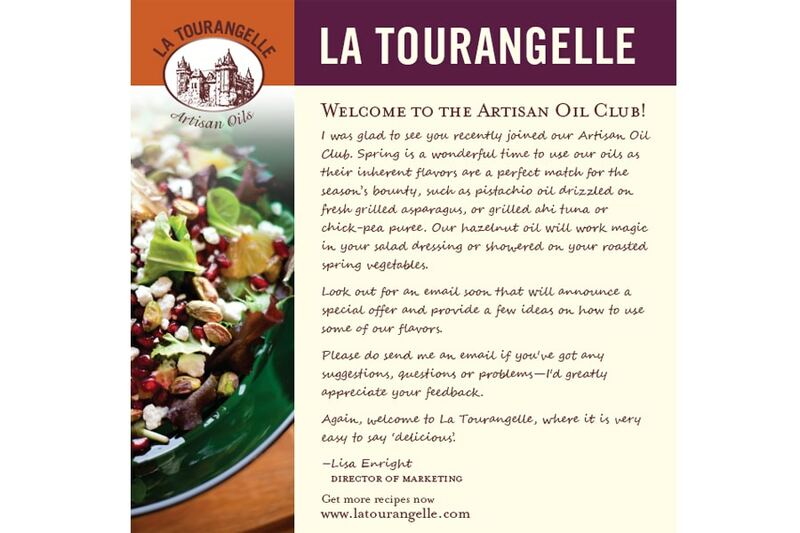 Artisan oils consumer brochure to showcase product assortment and educate on history of company, production methods and health aspects of the oils. Inspiring photography and color palette convey fresh and healthy lifestyle. 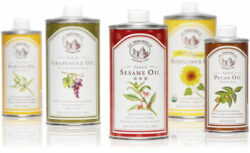 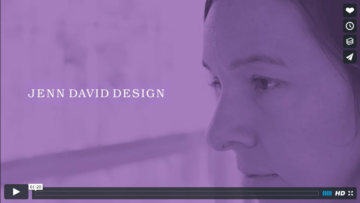 We also did the packaging design, and website design and development. 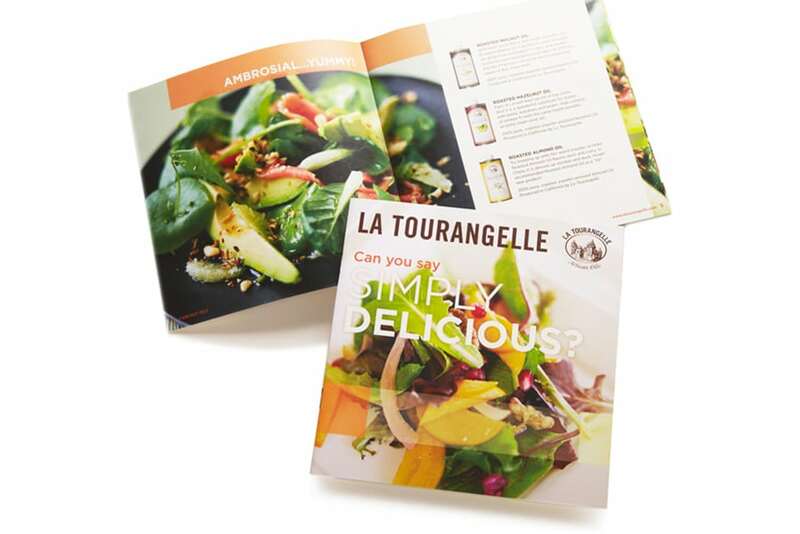 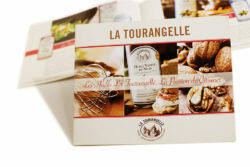 Series of La Tourangelle recipe cards to inspire with creative culinary uses and demonstrate ease of use.